We are specialized in offering Bus Doors Glasses that give good look to door of buses. We offer a wide range of automated glass doors which are designed with self locking systems and are best suited for official purposes. These have reinforcement with greater strength, enhanced durability and steadiness. 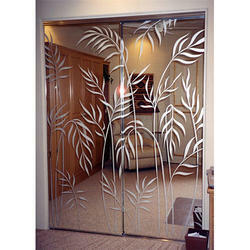 Our array of glass doors are offered at industry leading prices with minimal maintenance. 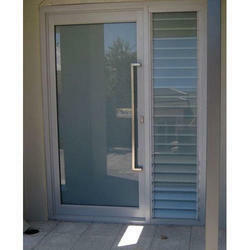 We offer a range of Toughened frameless door glasses in customized specifications for the security reasons. Our specialization lies in presenting products that are in accordance with the customer's specific requirements. These are the frameless openings, spider glazing, railing toughened glasess with branded hardware and hinges in support with the channels and silicon..
We are a prominent name, betrothed in offering premium quality Folding Door Glass that is used for doors.